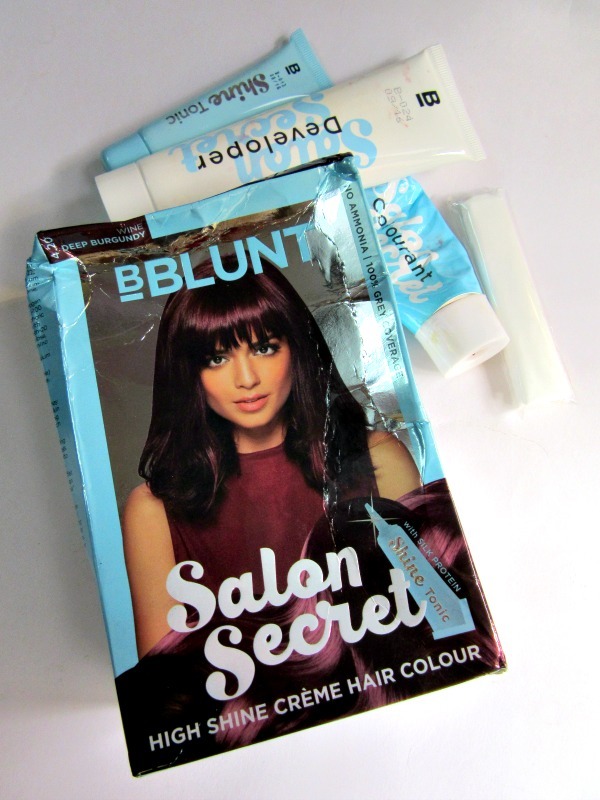 BBlunt Salon Secret High Shine Creme Hair Colour Review!! Having tried so many brands and shades I finally stopped at dark brown and although my natural hair colour is light brown, the dark brown seems to have taken over my natural shade a bit too well. So much so that now when I apply even a lighter shade it doesn't show up well. 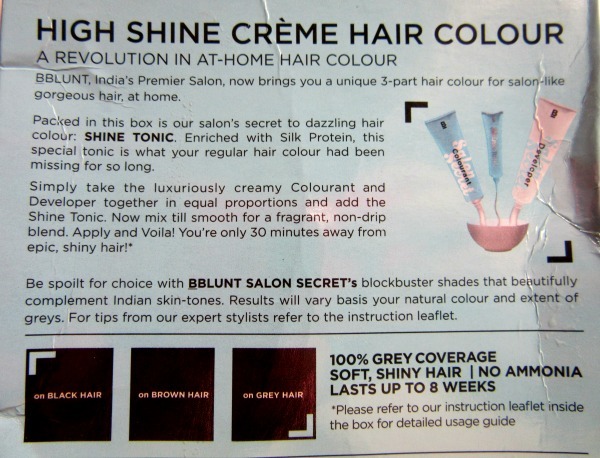 So my choices of the hair colour shade were dominated by this fact. I didn't want to go all dark brown which would make no difference and neither did I felt like going for lighter ones as they just wouldn't show up. Owing to this dilemma,I ended up choosing the shade Deep Burgundy. The packaging was very chic and convenient given the price bracket it falls in. 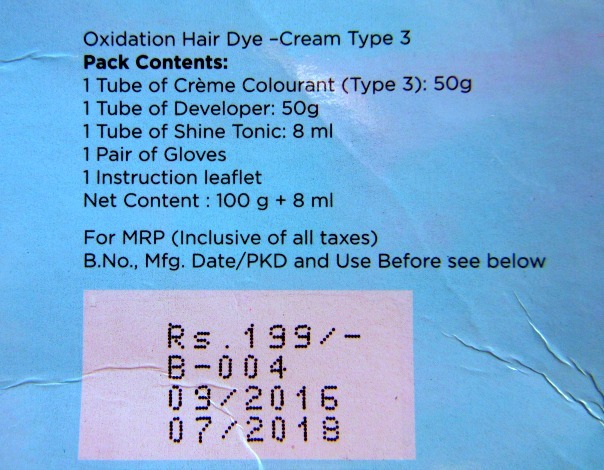 It includes the colourant, developer and shine tonic. They also provided a pair of gloves which was cherry on the cake. I mixed up the contents as per the instructions and applied it. 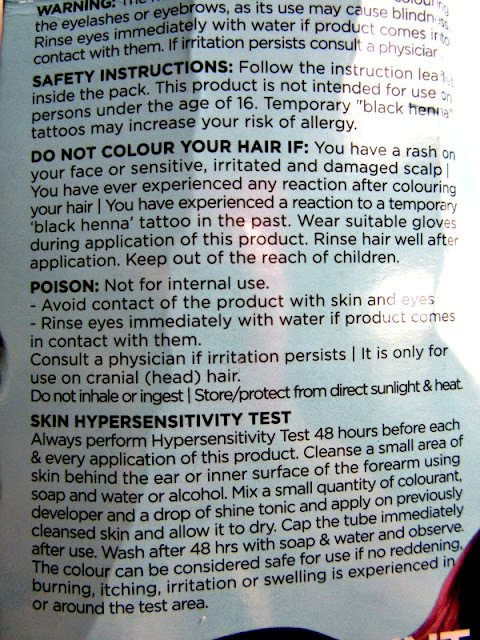 I wanted a global wash off colour thus till more than half of the content. I applied it evenly from root to tip and waited for 30min. And washed it off and applied my conditioner. The difference in the light is doing a bit of injustice to the image. 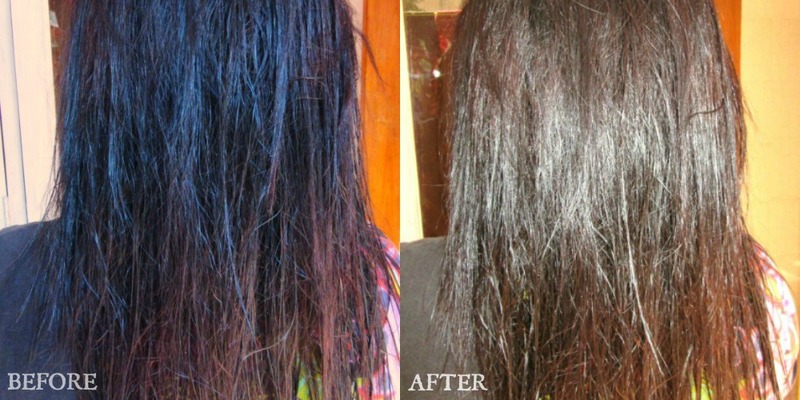 I wanted to click the before and after picture at the same spot in daylight but the timing made the after one a bit more bright!I really loved the fact that it didn't dry my already dry hair, infact the shine tonic actually made them smooth and shiny. 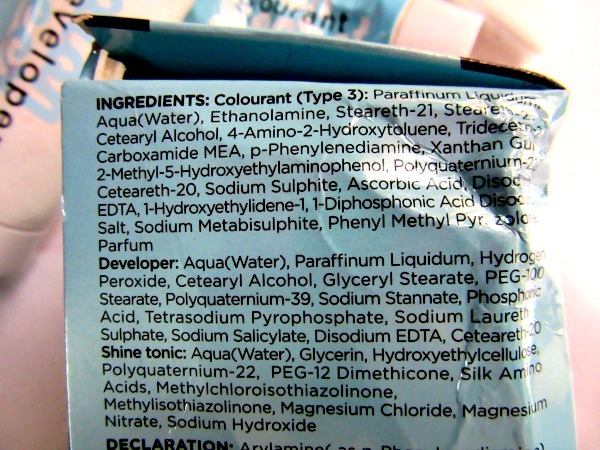 The red tinge is visible only in the sun though but that's nothing to do with the product. It covered grey perfectly well and stood better and longer than its costlier counterparts in the market. I'm really happy with the result and would recommend it!! 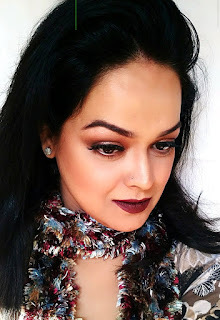 I'd love to try on more colors from this range :) well reviewed!